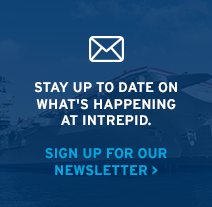 Beginning April 26, the Intrepid Museum will open its doors select Friday nights for FREE from 5pm - 9pm! 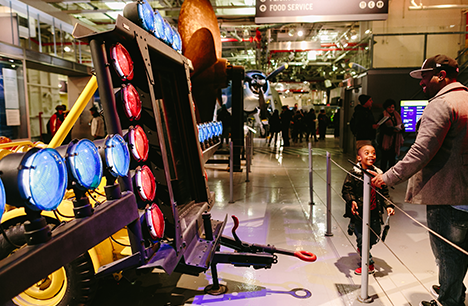 Explore the Museum and enjoy a variety of free after-hours programming including lively conversations, exciting performances, telescopes for viewing the night sky and movie nights on the flight deck! Click here for more info. New York City’s Intrepid Sea, Air & Space Museum Complex is an educational and cultural non-profit institution centered on the aircraft carrier Intrepid. The mission of the Museum is to promote the awareness and understanding of history, science and service through its collections, exhibitions and programming in order to honor our heroes, educate the public and inspire our youth. Join us for a dynamic, interactive and educational journey for all ages.